Headed up by Jennie Law and Jason Clay (elements Hydrogen and Copper, respectively), Dragon Con has been the home of the Parade of Elements since 2007, having only some of the Periodic Table’s many elements at It’s beginning. Until this year, when they finally completed it, with every element in attendance flying their geek flag high. 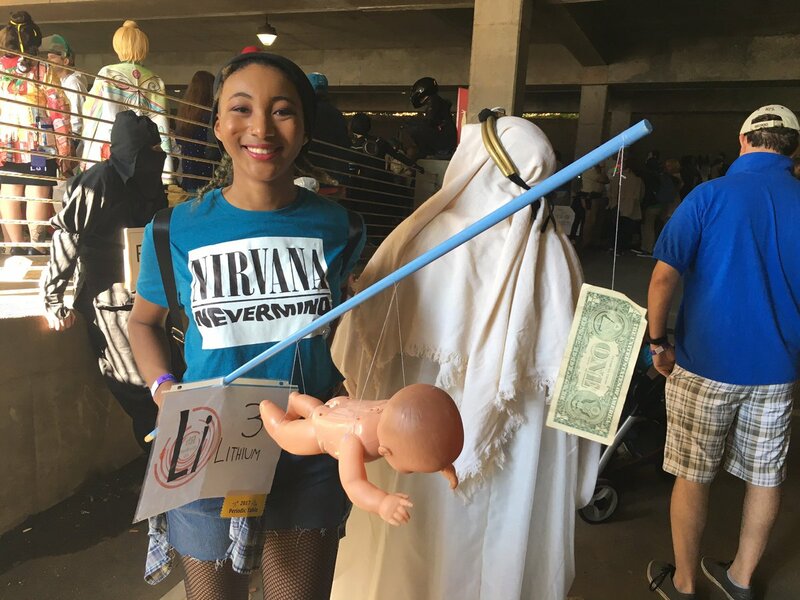 “It’s a science-loving, pun-loving, people-loving bunch.” This reporter’s favorite part is the punny costumes. See Sailor Scouts Plutonium and Neptunium below. 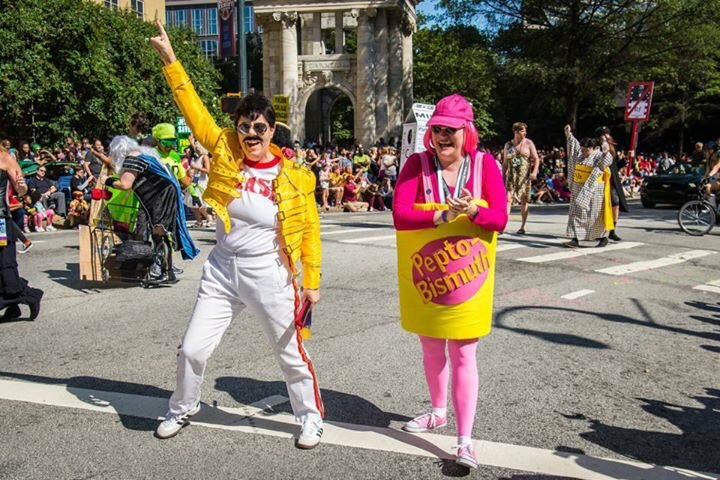 Freddy Mercury and Pepto Bismuth. “Lithium” off Nirvana’s album Nevermind. 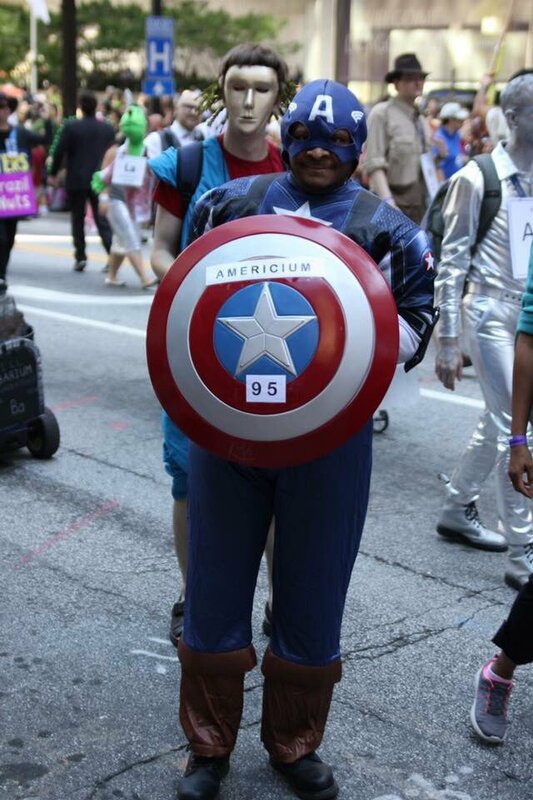 These and so many more made the Dragon Con 2017 parade that much better than years before. 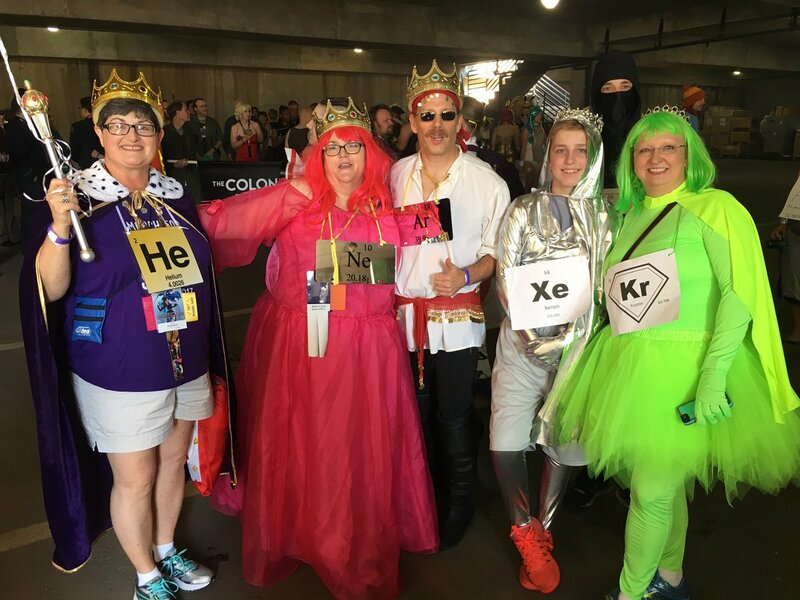 So thank you, Parade of Elements; and congratulations on finally completing the entire Periodic Table!